What Should We Do With SharePoint Now? Until recently being surpassed by Office 365, SharePoint was the fastest-growing server product Microsoft has ever had. According to Microsoft, SharePoint is used by 78% of Fortune 500 companies. Most of us are keenly aware why it has such high popularity, including offering a wide array of features and being able to accomplish a ton of tasks. Companies have grown to rely on it for intranet portals, document management, collaboration, social networks, extranets, websites, and business intelligence. 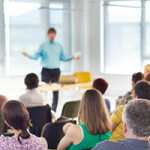 A downside for many companies was allowing each individual group to organically roll-out their own SharePoint and choose unique requirements. For many organizations, some groups have created mission critical file sharing sites, while others have just created a sharing mess. IT departments have struggled to keep up with the various support needs of their divergent SharePoint usage. This has pushed some administrators to consider a best-in-breed cloud based option such as Box, Drop box, Force.com, Basecamp, WordPress and even Evernote. Recently Microsoft launched SharePoint Online, part of the Office 365 offering, bringing a whole new dimension to SharePoint usage. 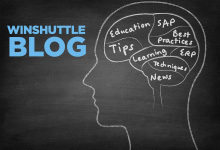 In a multi-part blog I will investigate some options to consider and provide insight into these challenges. In this first installment I am covering the key things to focus on when considering which technology to use to solve a specific business issue or problem set. The most critical aspects to select a solution are the people involved and DMAIC (Define, Measure, Analyze, Improve, Control). These items are mostly non-technical, semi-obvious, but are often ignored by individuals enamored by technology. 2. What tools do they need to do their job well? 3. What are their backgrounds (technical, functional, educational, etc)? 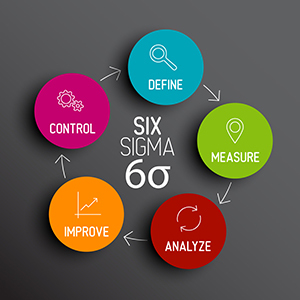 Another important element is DMAIC(Design, Measure, Analyze, Improve, Control) –the basis of Six Sigma and critical to solving any business issue. The following link provides a pretty good definition of DMAIC http://en.wikipedia.org/wiki/DMAIC. The most important part of DMAIC is defining the actual problem. Without a clear definition of the problem, it will be impossible to provide a solution. My favorite quote around this mistake is from John Candy in the movie Canadian Bacon, “There’s a time to think and a time to act. And this, gentleman, is no time to think”. He couldn’t have been more mistaken. The Harvard Business Review has a great article about the benefits of well-defined problem statements. Once you’ve defined your people and DMAIC associated with the business problem you are trying to solve, the next step is to consider the best technology fit. In my next blog about “What should I do with SharePoint now”, I will investigate the technology aspect of file sharing and how SharePoint (both on premise and cloud) stack up against some of the alternatives such at Drop Box and Box.